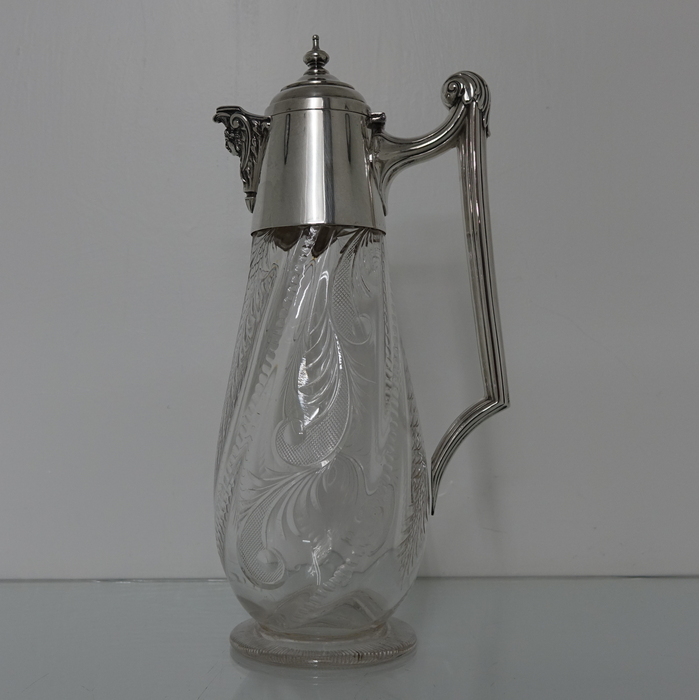 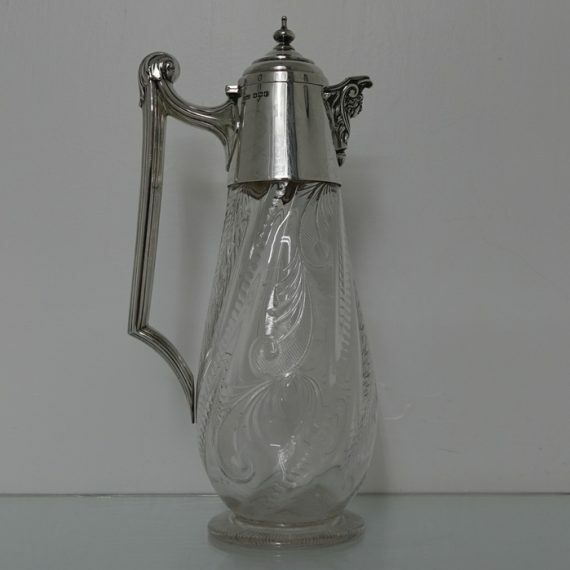 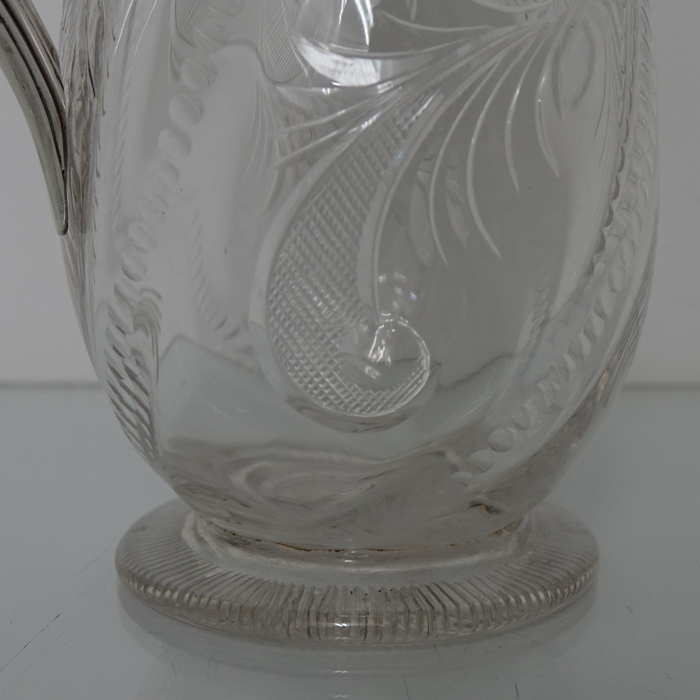 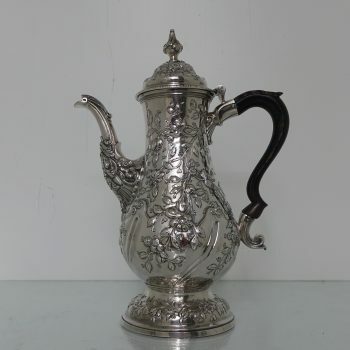 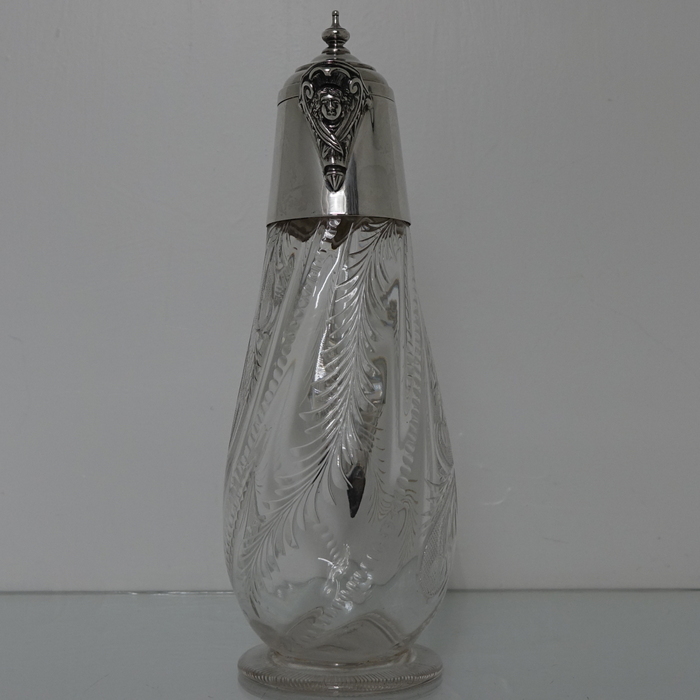 A very elegant sterling silver and glass George V claret jug, which is stylised with splashing of art-nouveau style workmanship, morphing into classical art deco. 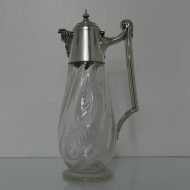 A very elegant sterling silver and glass George V claret jug, which is stylised with splashing of art-nouveau style workmanship, morphing into classical art deco. 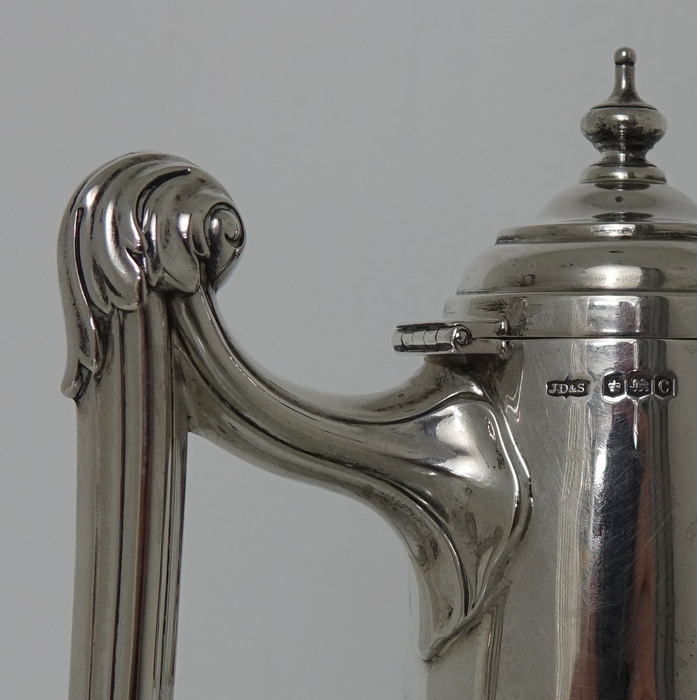 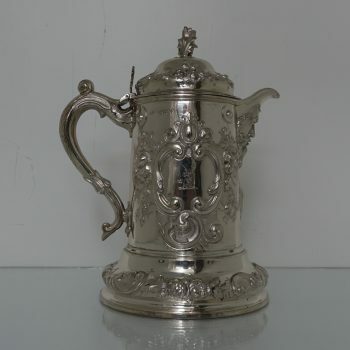 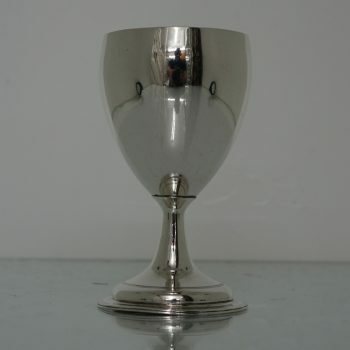 The claret jug has an ornate crystal body crowned with a plain-formed silver mount with a hinged lid. 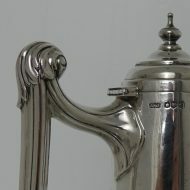 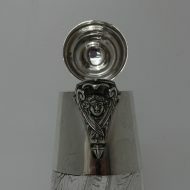 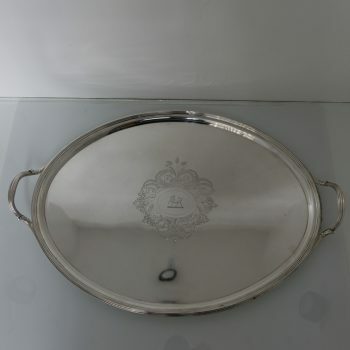 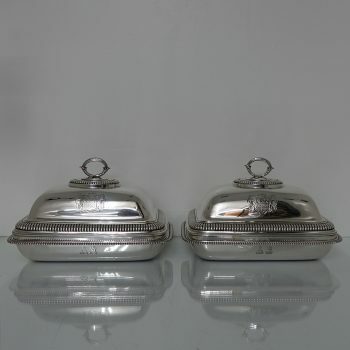 The spout is highly decorative and the craftsmanship of the handle is extremely stylish.